It’s finally here! The match we have all been waiting for since USA unceremoniously exited the Gold Cup in the semifinal stage against underdog Jamaica and Mexico won the competition after a series of controversial results. Given the rivalry and the stakes of the match (a 2017 Confederations Cup berth), this match is arguably as big as if not bigger than a World Cup match. USMNT manager, Jurgen Klinsmann, summed up the importance of the match perfectly. Klinsmann understands the tremendous weight of the match and the pressure on him has never been higher. Given the disappointing defeat in the Gold Cup semifinals and a poor run of results, most recently a 4-1 drubbing from Brazil, there have been calls for Klinsmann to be sacked if he does not deliver victory in this match. One of the people calling for this is USMNT legend, Landon Donovan, who said, “The reality is that now, anywhere else in the world, if this coach had those results, and they lose this game against Mexico, they’d be fired”, in reference to USA’s recent results. While Donovan has a history with Klinsmann that might cause some bias, his point has merit. Klinsmann’s predecessor, Bob Bradley, was fired after making it to the round of 16 at the World Cup (same as Klinsmann) and losing the Gold Cup final (better than Klinsmann). Nonetheless, it is highly unlikely that Klinsmann would lose his job if USA loses to Mexico, given the strong backing from U.S. Soccer and the logistical difficulties that would occur from firing your manager and technical director two years before the World Cup. 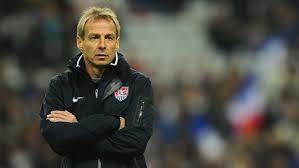 With the immense pressure on Klinsmann and his squad will he be able to deliver? Note: these lineups are more based on what I expect the lineups to be for each squad based on recent selections, rather than what I think the lineups should be. The full 23-man rosters for each side can be found here. Klinsmann showed with his 23-man roster selection that he would be leaning heavily on experience for this match and I expect his starting eleven to do the same. Brad Guzan starts over Tim Howard as Klinsmann stated Howard will not start until after this match due to his one year sabbatical. Klinsmann repeatedly experimented with the back line during the Gold Cup, which yielded mixed results, so expect him to go with the most established players. Wing backs, Beasley and Johnson have been amongst the strongest USA performers, and center backs, Besler and Cameron, should be favored given their respective World Cup and EPL experience. In the midfield, while Klinsmann might prefer to have Bradley in a more advanced position, the lack of strong defensive midfield options make a Bradley/Jones partnership most likely. Outside midfield positions will most likely be held by Zardes and Bedoya, as Zardes is one of USA’s brightest young talents and Bedoya gets a slight edge over the speedy Deandre Yedlin due to his experience and Yedlin’s perpetual super sub status. In the forward positions, Jozy Altidore’s return to form and fitness earns him a place as the lone striker, and the absolutely undroppable Clint Dempsey will either play as an attacking midfielder or form a strike partnership with Altidore. Since taking over for Miguel Herrera, interim manager Tuca Feretti has gone with similar tactics and lineups to Herrera’s Gold Cup winning team. In what will be Feretti’s last match as manager, expect him to continue that trend. Moises Munoz is favored at goalkeeper over World Cup/Gold Cup hero Guillermo Ochoa who didn’t even make it into the roster. The back line is the same as in the Gold Cup final, except Rafael Marquez will likely serve as the anchor of the 3 center backs, as Feretti has placed a great deal of trust in him. The Guardado, Dos Santos, Herrera midfield combination has great chemistry and will crucial to Mexico sustaining possession throughout the game. Up top, Oribe Peralta should be a lock to make it into the squad and Javier Hernandez’s decent performance against Argentina in a recent friendly should earn him the other starting forward spot. Jermaine Jones vs. Andres Guardado: USA will likely concede the majority of possession to Mexico, and it will be key that they limit the effectiveness of Mexico’s possession. Andres Guardado is undoubtedly Mexico’s best player and creative outlet, so minimizing his influence will be crucial to USA’s chances to win the game. Jermaine Jones will likely be tasked with suppressing Guardado, as Michael Bradley is the more attack-minded of the two and will often be playing in more advanced positions. While it’s a tough responsibility to put on one man, Jermaine Jones has the ability to meet this challenge, as he displayed in World Cup matches against Ghana and Portugal where USA faced similar situations. For USA to avoid defeat, they must limit the defense-splitting passes out of Mexico’s midfield, and Jermaine Jones could be the player to do just that. Fabian Johnson vs. Miguel Layun: This match will be won on the wings. Both sides feature heavy wing attacks with outside backs that like to get forward and create chances with frequent crossing. The most prominent of the wing players are USA’s Fabian Johnson and Mexico’s Miguel Layun. Johnson was one of USA’s best players at last year’s World Cup and one of the few bright spots in a disappointing Gold Cup run. Layun is a fixture of Mexico’s attack, serving as one of their biggest chance creators in the Gold Cup winning squad. Johnson and Layun will probably lineup on the same sides (Layun on Mexico’s left and Johnson on USA’s right), so this could be a key battle in the match. Layun is much more proficient at attacking than defending so there should be plenty of space in behind Layun for Johnson to exploit. On the other hand, Layun’s pace and Mexico’s lethal counter attacking ability will require Johnson to be discipline in defending and may limit his ability to make overlapping runs with his more advanced midfield partner (Bedoya/Zardes/Yedlin). There will be a delicate balance on the wings between attacking and defending and optimizing that balance while winning the individual matchups on the wings will be critical. Jozy Altidore vs. Rafael Marquez: Which Altidore will show up in this match? The Altidore that has looked ponderous and frequently gave the ball away in the Gold Cup or the in-form Altidore that has the physicality and instinctive finishing to challenge defenders that we have seem glimpses of throughout his career. Dempsey’s quality is clear as the star of the USA side, but it’s whether or not Altidore can effectively link up with Dempsey and provide an extra edge in attack that will determine USA’s ability to score goals. Altidore will go up against longtime veteran Mexican defender Rafa Marquez, who could miss the game if he fails to overcome a groin injury. As Mexico’s captain, Rafa Marquez has the same level of importance to the side as Andres Guardado, as Marquez is tasked with organizing defense and is critical to the 5-man back line succeeding. While Marquez has a vast amount of experience and strong defensive instincts, at age 36 he lacks pace and could be exposed by the physically commanding Altidore. Whoever comes out on top in the physical and mental battle between the players will greatly improve their squad’s chances of victory. This is a tough match to predict, because while Mexico might be the slight favorite given recent results, the intense nature of this rivalry throws recent form out the window. I fully expect Mexico to dominate possession in the game but their advantage in possession will not solely determine the game’s outcome. Mexico often do not make the best of the chances their possession creates (as was seen in the Gold Cup) and they can become frustrated and lose defensive concentration. For USA to have a chance, they must be clinical on set pieces and counter attacks where Mexico will be most vulnerable. Klinsmann’s failure to select a consistent back line could be USA’s undoing as none of their center defensive options have a great deal of experience and chemistry built up playing together. If whatever center defensive partnership Klinsmann selects does not have a good understanding of each other and fails to be compact, USA could be exposed by a dangerous Mexico attack. Nonetheless, I feel USA has just enough to overcome Mexico in what will be a tight game. Expect Dempsey to get at least one goal and lead his team to victory in this high stakes match.